Season 3 Episode 6: "Chuck Vs. The Nacho Sampler" Airs Mon, 1 Feb, 2010. WEBSITE NOTICE: ‘CHUCK ONLINE’ HAS OFFICIALY MOVED! Dear Readers, ‘Chuck Online’ has been moved to a new host for reasons which I feel will make your viewing more pleasurable and exciting. Updates will, from now on, only be posted on our new Chuck TVEdge website. ZACHARY LEVI & YVONNE STRAHOVSKI ‘TV GUIDE’ PHOTOSHOOT CAPS! Caps from Zachary Levi and Yvonne Strahovski’s TV Guide’s Sexiest Stars 2008 photoshoot have been uploaded. Thanks to fantasy43 for these. TV GUIDE SCOOP ABOUT SEASON 2 LIVING ARRANGEMENTS! • Scoop on Chuck‘s Season 2 living arrangements. Plus: A sad goodbye to a fan favorite. View The Video @ TV Guide Here. 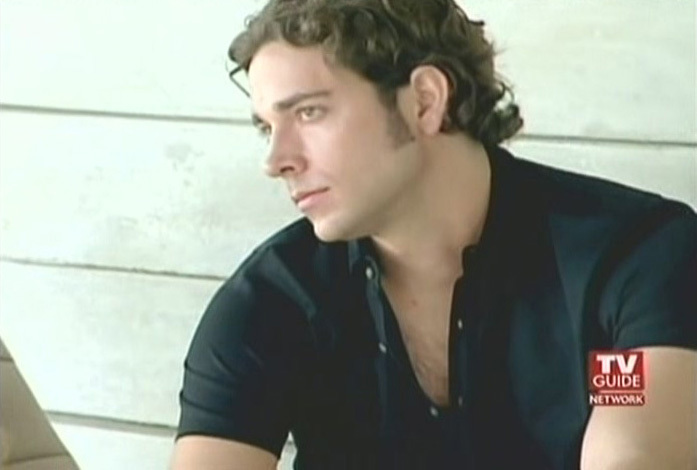 ZACHARY LEVI – ‘TV GUIDE SEXIEST STARS 2008’ INTERVIEW! 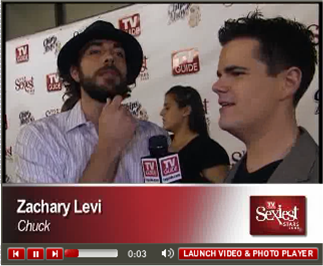 TV Guide has posted a new interview video of Zachary Levi on the red carpet of the ‘TV Guide sexiest Stars 2008’ countdown. NEW “CHUCK” WALLPAPERS HAVE BEEN ADDED! 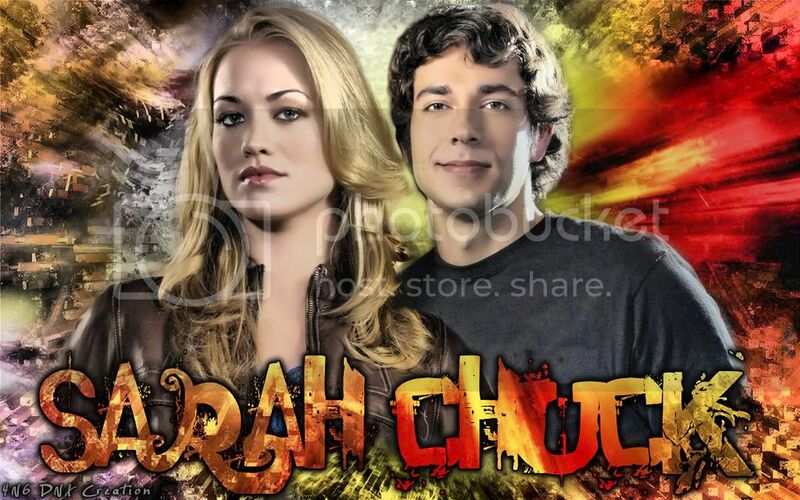 Two new “Chuck” wallpapers have been added to the Wallpapers page. Go the the Wallpapers page to see more and to find out how to submit you own Chuck wallpapers! ZACHARY LEVI WINS ‘TV’S SEXIEST NERD’ TITLE! TV Guide’s Sexiest Stars 2008 results have been released. Yvonne Strahovski lost in the ‘Sexiest Sci-Fi-Gal’ category, but, Zachary Levi won in the ‘Sexiest Nerd’ Category. Well done Zach! 🙂 View all the results Here. TV GUIDE’S SEXIEST STARS COUNTDOWN VIDEO! TV Guide has released a video of Zachary Levi and Yvonne Strahovski at an exclusive TV Guide photoshoot. The video is funny and they’re both sweet. I took 4 screen captures and I have included the link to the video!